Inspired by the purchase of a Lebanese synthesizer playing microtonal scales and lo-fi Eastern drum patterns, Rainbow Arabia began a escapist diversion from Danny and Tiffany Preston's day jobs. The demos they recorded, which were written and put to tape in a matter of a days, became their debut, The Basta. 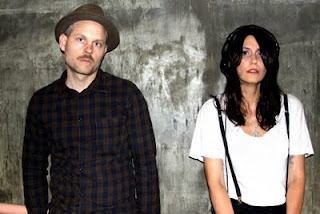 Barely existing for only a few months, the married couple were picked out of the ether by NYC sonic alchemists/kindred spirits Gang Gang Dance to support them on a cross-continental tour in 2008. Once they got back (and to their surprise) they quickly found themselves a legitimate act with acclaim from PITCHFORK, THE FADER, XLR8R, NME, in addition to a word-of-mouth groundswell for their fresh, contemporary East meets West take on the Sublime Frequencies catalog that inspired them so much in the first place. 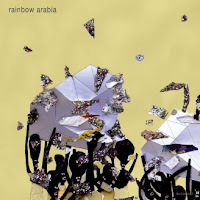 With a penchant for global pop and psychedelic tribal beats, Rainbow Arabia caught ears across the pond releasing the "Omar K" seven-inch on UK's Merok Records (Crystal Castles, Teengirl Fantasy) leading to their first European tour in 2009. 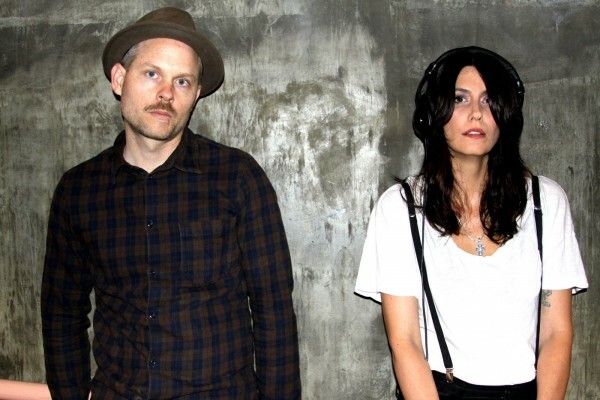 Shortly after they released their follow-up digging deeper for inspiration from worldly found sounds, the Los Angeles-based duo's follow-up EP, Kabukimono, expanded the color palette of their Middle Eastern-tinged "fourth world" pop with darker industrial dancehall and comfortably sitting alongside brighter Caribbean and African flavors. Not interested in merely musical/cultural tourism, the Prestons shifted their focus outward in writing their first full-length album Boys And Diamonds. The inspiration that they found landed squarely in between future-thinking contemporary club music (techno, hip-hop, dubstep) and the organic globe-trekking dance music of the last century (reggae, ragas, gamelan) they've been known to draw from. Add in an affection for the 80s synth-pop they grew up on and the gothic influences informing Tiffany's teenage years specifically (Love and Rockets, OMD, Christian Death), and you have an interesting recipe that is utterly unclassifiable as it is repeatedly listenable. Rainbow Arabia have been one Kompakt's most endearing acts to work with us in years. The husband and wife duo Danny and Tiffany Preston started our year out with the genre-defying full length "Boys And Diamonds" which went on to become one our most acclaimed releases of recent time - the Los Angeles Times went so far as to proclaim "Rainbow Arabia are L.A.'s new electro heroes" in a recent feature. In honor of the exhaustive touring throughout the US and Europe the band continues to trail blaze, we found the need to put out another limited edition 7" for the fans and collectors out there. The title song "Boys And Diamonds" combines the sway of '80's pop with the raw power of cumbia and ethno-dance mayhem. Tiffany's vocals are hauntingly powerful and a testament to the sheer will and work this band has put in over the past year. Hardmix are a favorite of the band and we here at Kompakt were honored have him tackle the song. What we received is melodic techno bliss - a shapeshifting extravagance that uniquely keeps the essence of the original but with a solid bass kick to keep the dance floor well on momentum. As a record store, Kompakt has been linking the past, present and future of Cologne's house and techno sound for over fifteen years. Originally initiated by Wolfgang Voigt, Jürgen Paape, Reinhard Voigt and Michael Mayer, the shop quickly gained a reputation as a cultural hub, much like other record shops that have become the basis of so much more (Rough Trade, Wax Trax), and in turn grew to harbor not only a round of like-minded DJ's and producers, but also the Kompakt record labels and club nights. These days, the network also houses a distribution centre, booking agency, publishing house, artist and label management centre. As a label itself, Kompakt has gone from strength to strength and thanks to it's ever evolving roster continues to develop musically in different directions. The cornerstones of Kompakt’s rise has as much to do with the busy hands of its producers as it does with a collective of deft ears that can slice through to the most compelling details of a long history of club music, strip them, redress them, and throw them back at an audience as something deceptively new. What makes it work is the label’s obsession with pop sensibility – sensibility, not the music itself – and the uncanny ability to grow together as a group, proving yet again that all that rises must converge.Over the course of its history, Kompakt has operated under a variety of different sublabel guises: Kompakt Extra, Kompakt Pop and K2.